What does the symbol represent? 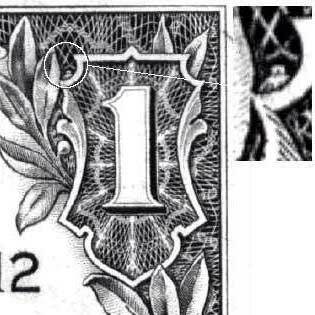 How did it get on the dollar bill? Is it Illuminati? 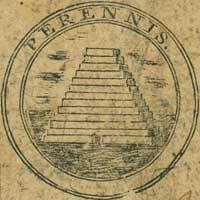 The all-seeing eye and the pyramid first appeared on the reverse side of the seal of the United States in a design approved by Congress in 1782. Following the signing of the Declaration of Independence officially giving birth to the United States of America, a committee was formed to create an emblem to encapsulate the ideologies of the new nation. Pendant seals were commonly used to authenticate official communication at the period, so the committee, including Founding Fathers Thomas Jefferson, Benjamin Franklin, and John Adams, set about designing the two sides of the Great Seal of the United States. The final design took 6 years and went through 3 different committees including a total of 14 men before finally being approved by Congress in the fall of 1789. The American bald eagle symbolizes freedom and strength. It is holding 13 arrows in one claw and an olive branch with 13 leaves in the other symbolizing Congress’ power over war and peace. The eagle is looking right showing that the US is a peaceful nation. The unsupported shield, like the US, stands on its own. The shield is composed of 13 stripes representing the 13 colonies with a blue bar on top uniting the stripes denoting Congress. The cloud with a constellation of 13 stars over the eagle represents the new nation taking its place amongst the world’s sovereign nations. 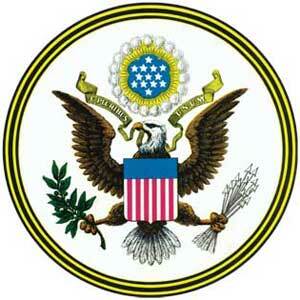 Motto: E pluribus unum (13 letters) – “Out of many, one” – as in the 13 colonies united as one through Congress. The 13-step pyramid signifies strength and duration. 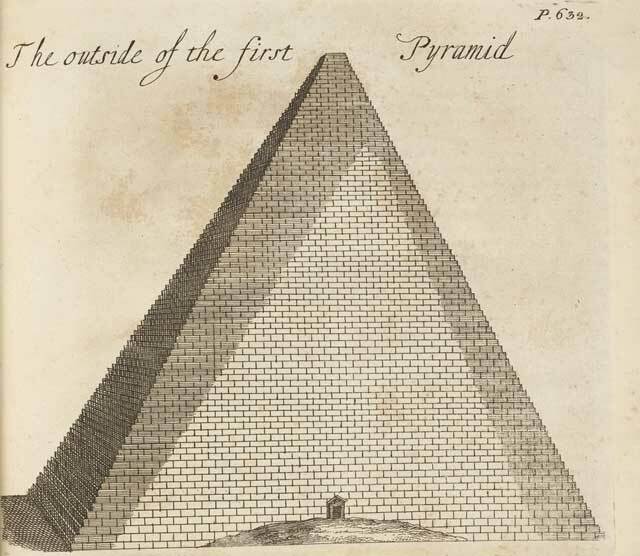 The pyramid is uncapped and unfinished signifying that America is still an incomplete nation. The all-seeing eye or the eye of Providence and the motto Annuit cœptis (13 letters) – “God has favored our undertakings“, refers to God’s interventions in favor of the American cause. 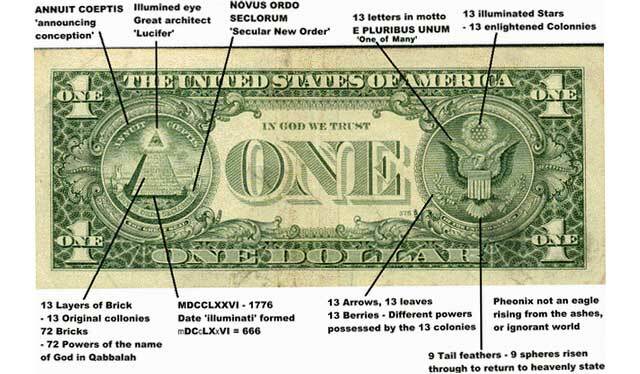 The motto Novus ordo seclorum – “A new order of the ages” and the roman date MDCCLXXVI represent the beginning of a new American era in 1776. Pendant seals, which were small wax discs hanging from documents and imprinted with official emblems or coats of arms on each side, were used to authenticate official communication. (See Henry 8th’s double-sided pendant seal) The pendant seals were later replaced with the more convenient wafer seal which only required a single seal imprint. The eagle side became prominent while the reverse side, the all-seeing eye and the pyramid gradually faded into obscurity. 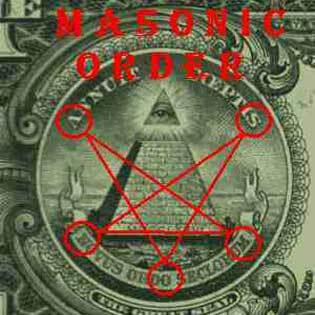 In 1935, 32nd President and 32° freemason Franklin Roosevelt added the Great Seal to the back of the US dollar bill. Secretary of Agriculture (later Vice-President) Henry Wallace wrote about first seeing the back of the Great Seal and being “impressed” on how the motto Novus Ordo Seclorum could mean “New Deal of the Ages”. 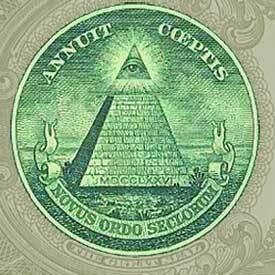 Roosevelt was so impressed with the Seal that he suggested adding it to the dollar bill providing that Catholics took no objection to having the Masonic all-seeing eye on the bill. There were no objections and FDR personally approved the final design. The new bills hit the streets in summer of 1935. 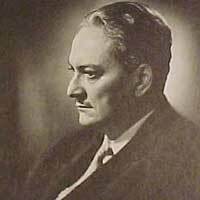 Wallace’s familiarity with the occult would later give him trouble during the 1940 presidential election after letters he had written to Russian occultist Nicolas Roerich came into Republican hands. The “Dear Guru” letters were made public seven years later. Not only were many of the founders of the United States government Masons, but they received aid from a secret and august body existing in Europe which helped them to establish this country for a peculiar and particular purpose known only to the initiated few. The Great Seal is the signature of this exalted body— unseen and for the most part unknown– and the unfinished pyramid upon its reverse side is a trestleboard setting forth symbolically the task to the accomplishment of which the United States Government was dedicated from the day of its inception. 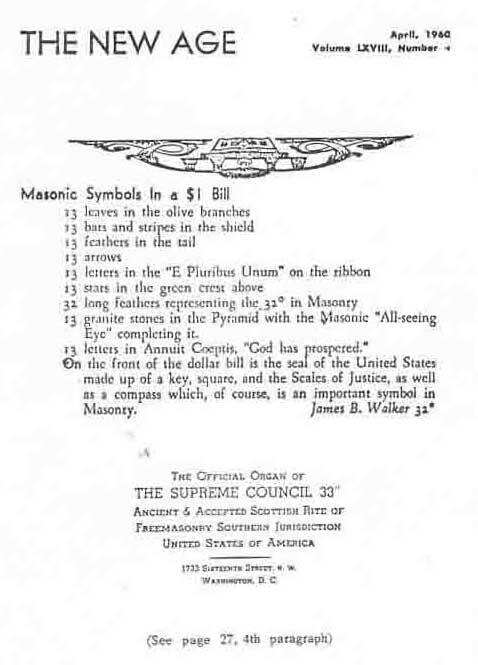 Thirty-Second degree Freemason James B. Walker wrote about the repetitions of the number 13 and the “Masonic Symbols in a $1 Bill” in the April 1960 issue of Masonic publication The New Age Magazine. The idea was expanded upon in the same publication by 32° freemason Elmer W. Claypool. Adam Weishaupt’s Bavarian Illuminati promoted many ideas that would later become associated with communism such as the abolition of private property, inheritance, and religion. The order also promoted the abolition of the Monarchy and all system of governments making Weishaupt a forerunner of anarchism. Peggy Pawlowski noted in her doctoral thesis that Weishaupt clearly described class war in his later writings. Weishaupt’s ideas were later expanded on by Karl Marx. In 1797, French Jesuit Abbé Augustin Barruel published Memoirs Illustrating the History of Jacobinism which would go on to become an international bestseller. That same year John Robison, who had been developing a similar thesis, published Proofs of Conspiracy in which he detailed a similar plot by the Illuminati and Freemasons to overthrow all the governments of Europe. Their chief mode of operation was by infiltrating Masonic Lodges and had already spread all over Europe and in the United States. Ironically, these two books have done more to spread the doctrines of the Illuminati than Weishaupt could have ever dreamed of. 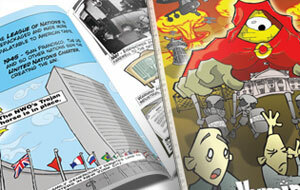 Both books were read worldwide and translated into dozens of languages while the original writings of the Illuminati are only now being translated into English! Webster went on to publish World Revolution: The Plot Against Civilization in which she claimed that Karl Marx delivered and executed Adam Weishaupt’s plans at the First International in 1864. She points out that International Workers’ Day being celebrated on May 1st, the same day as the founding of the Bavarian Illuminati, is no mere coincidence. Roosevelt’s socialist programs had gained him many powerful enemies. His “New Deal”, a series of programs aimed at helping poor Americans get back on their feet following the devastation of the Great Depression, was looked unfavorably upon by Wall Street. His repealing of the ‘gold standard’ had also made rich lenders unhappy with the FDR White House. Many saw FDR as a communist puppet. 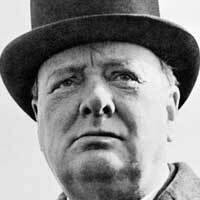 His opponents on the right saw his social programs as the fulfillment of a communist New World Order. 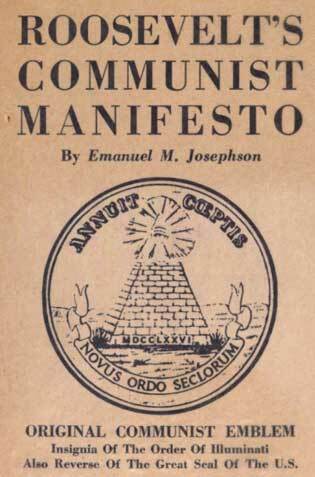 In 1955, Dr. Emanuel Josephson wrote Roosevelt’s Communist Manifesto in which he detailed a conspiracy by FDR’s communist Illuminists to fulfill the dream of “father of communism” and founder of the Bavarian Illuminati, Adam Weishaupt. Josephson contended that the New Deal was based on a blueprint written by Weishaupt. 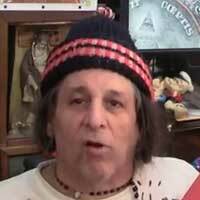 He was the first to claim that Adam Weishaupt used the reverse of the Great seal as the Seal of the Order. The significance of the design is as follows : the pyramid represents the conspiracy for destruction of the Catholic (Universal Christian) Church, and establishment of a “One World”, or UN dictatorship, the “secret” of the Order; the eye radiating in all directions, is the “all-spying eye” that symbolizes the terroristic, Gestapo-like, espionage agency that Weishaupt set up under the name of “Insinuating Brethren”, to guard the “secret” of the Order and to terrorize the populace into acceptance of its rule. This “Ogpu” had its first workout in the Reign of Terror of the French Revolution, which it was instrumental in organizing. It is a source of amazement that the electorate tolerates the continuance of use of this insignia as part of the Great Seal of the U.S.
“ANNUIT COEPTIS” means “our enterprise (conspiracy) has been crowned with success”. Below, “NOVUS ORDO SECLORUM” explains the nature of the enterprise : and it means “a New Social Order”, or “New Deal”. Benjamin Franklin, John Adams (Roosevelt kinsman) and Thomas Jefferson, ardent Illuminist, proposed the above as the reverse of the seal, on the face of which was the eagle symbol, to Congress, which adopted it on June 10, 1782. On adoption of the Constitution, Congress decreed, by Act of September 15, 1789, its retention as seal of the United States. It is stated however, by the State Department in its latest publication on the subject (2860), that “the reverse has never been cut and used as a seal”, and that only the observe bearing the eagle symbol has been used as official seal and coat of arms. 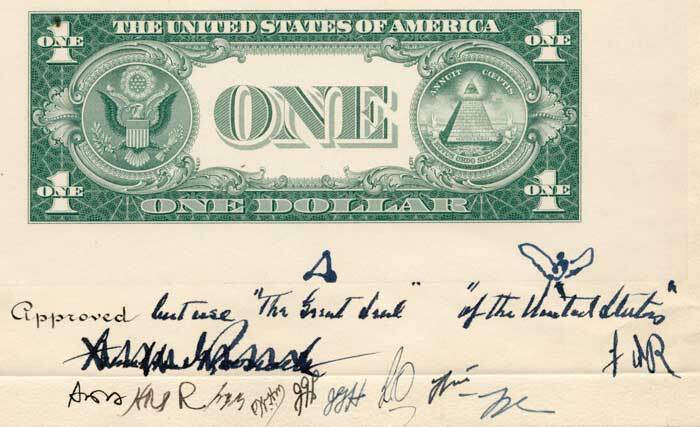 It first was published on the left of the reverse of the dollar bills at the beginning of the New Deal, 1933. What is the meaning of the publication at the outset of the New Deal of this “Gestapo” symbol that had been so carefully suppressed up to that date that few Americans knew of its existence, other than as a Masonic symbol? These words linking FDR and Weishaupt’s Bavarian illuminati to the Communist New world Order were copied word for word* (without attribution) in 1958 by William Guy Carr in his hugely popular Pawns in the Game, which sold over half a million copies forever cementing the all-seeing eye floating over a pyramid as an Illuminati symbols – The Illuminati symbol. *Carr corrects the date that Congress adopted the Seal to June 20th, 1782 and adds the words “by order of President F.D. Roosevelt.” at the end of that same paragraph. This tune has changed very little ever since. Fortunately new discoveries such as the Swedish Box and other repositories of original Illuminati writings as well as translations of original documents have allowed us to see whether these mid-20th century claims have any validity. 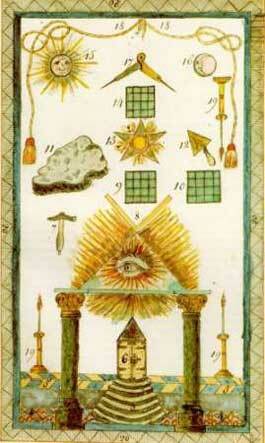 The pyramid was prominently displayed on the carpet (or trestle board) of all Minerval assemblies. The letters D and P flanking the pyramid stand for Deo Proximo, or close to God. 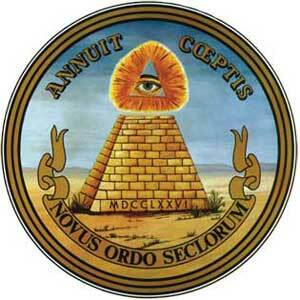 Compare with Annuit cœptis (13 letters) – “God has favored our undertakings” used in the Great Seal. 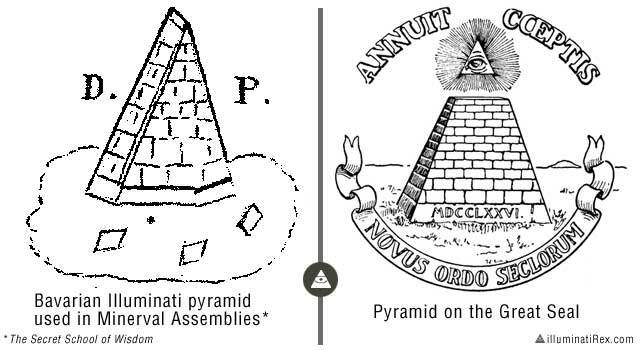 The Bavarian Illuminati used the pyramid with surprisingly similar meaning as on the Great Seal. This could lend credence either to the theory that the Illuminati somehow influenced the design of the Great Seal, or, it could also add weight to the theory that designers of the Great Seal work from a common sources such as emblem books and well-known symbols of heraldry. To date, no known images or references to the all-seeing eye have been found in Illuminati papers. However, the all-seeing eye was already used in German and French masonry and it’s quite possible that it was used in some of the Illuminati rituals. (especially in the Order’s freemasonic rituals) It does not appear to be of any significance, nor was it used in combination with the pyramid used in the Minerval degrees. UFOlogist John Keel tells the legend of a Man in Black (MIB) appearing to Jefferson dressed as a dark stranger wearing a black cloak and handing over the complete reverse of the Great Seal to Thomas Jefferson. These same mysterious entities have appeared at similar moments to Julius Caesar, Napoleon, and Malcolm X amongst others. It is not clear why Jefferson chose not to submit this design to Congress opting instead to privately voice his concerns that the bald eagle should be replaced with a wild turkey. 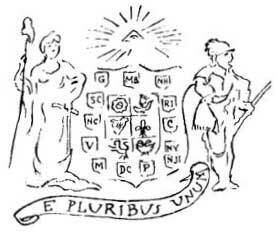 According to Marrs, Rothschild got his wish and got the Illuminati emblem on the Great Seals of the United States. This story is unlikely since at the period, Mayer Rothschild was a relatively obscure coin dealer who had only recently expanded into banking. To David Icke, the eye is the Reptilian eye of Draco. The eagle has 32 feathers on one wing and 33 on the other representing the two highest degree of freemasonry. 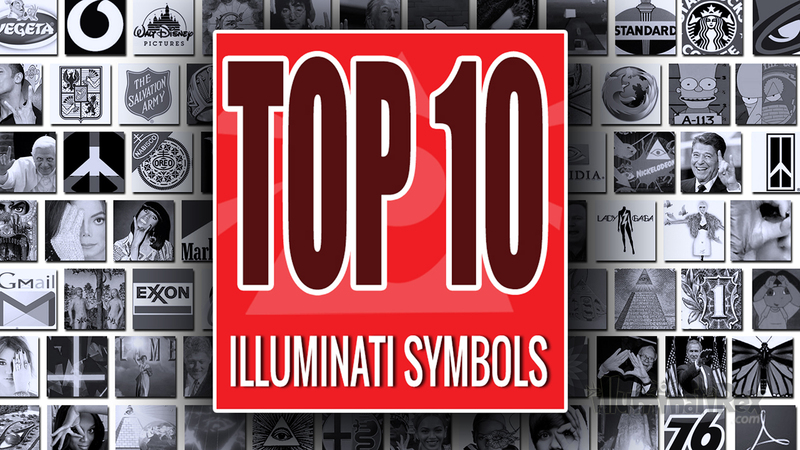 The Illuminati is obsessed with symbols because the reptilian brain communicates using images, not words. These images and hidden symbols can be understood by the Reptilian brain by tuning in at the right frequency. The eye has become synonymous with Big Brother and his continuous invasion of privacy. It is sometimes said to represent the eye of Lucifer overseeing his minions from the top of a pyramid. The 13-step pyramid is can represent the 13 bloodlines of the Illuminati who have pledge alliance to Satan the Anti-Christ.